Simple daily something today! I feel tired. 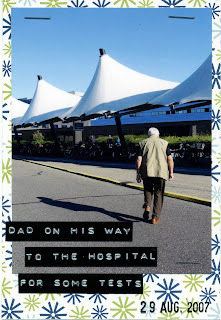 Spend a couple of hours with my dad in the hospital this morning. He had to do some tests because of his heart condition. hope that he is doing fine.